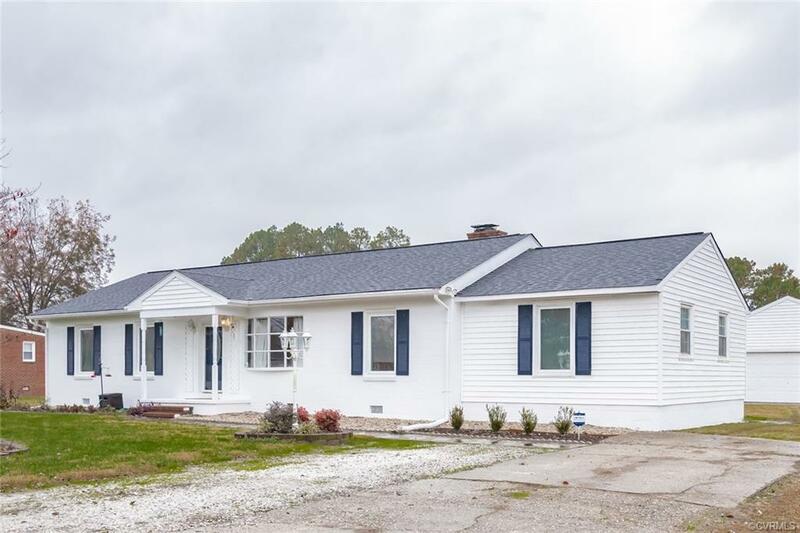 Wonderful 4 bedroom, 2 bath ranch home near Rivers Bend. Features hardwood Floors in the living room and 3 bedrooms, fireplace with wood stove insert, large eat in kitchen open to living room. Huge master bedroom with his and her closets, master bath with jetted tub. Large rear screen porch to sit and enjoy the outdoors and entertaining. Detached 2 car garage with lean to for firewood. The rear yard is fenced in addition to invisible fence in the entire rear yard and part of the front yard. New well pump, new hot water heater newer septic system (10 years old) fairly new heat pump. Convenient to Richmond, Chester, Fort Lee and Hopewell. Come see this home and make it yours! This home is eligible for USDA financing. Directions: Rt. 10 To Left Onto Rivers Bend Blvd. Right Onto Sunset And Home Is On The Left.